It’s a big week for the Commonwealth as the Games end on the Gold Coast and attention shifts to the Heads of Government Meeting about to start in London. It makes a good time to consider the significance of this multilateral forum in today’s international affairs. Since the establishment of the Commonwealth of Nations in its current form in 1965, the Commonwealth has been predominantly an organisation of developing countries, albeit with the participation of the United Kingdom and the three ‘old Dominions’ of Canada, Australia and New Zealand. While 31 of the current 53 members are classed as small states, there are also significant emerging powers such as India, Nigeria and South Africa. There are cultural, political, institutional and economic links deriving from the imperial past and these links can be relevant in various ways today. However, it would be shortsighted to judge the contemporary international significance of the Commonwealth as a kind of imperial relic. While the Commonwealth plays a relatively minor role in contemporary international relations, it does have some significance as a mini version of global multilateralism. An important aspect of contemporary international relations is the way in which many issues are dealt with through a process of coalition building, bringing together like-minded countries to advance agreed policy goals. As a forum for trying out particular approaches, the Commonwealth has some advantages with its North-South dimension and the way it brings together a range of countries from small states to middle powers to major powers. This situation can be seen in relation to various global issues covering geopolitics, the global economy, climate change and human rights. In addition, the Commonwealth contributes through its support and advocacy role for small states and the role it plays in certain regional contexts. Apart from its intergovernmental role, there is also the role the Commonwealth plays as a framework for civil society interaction. 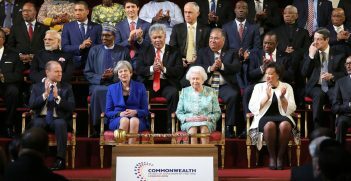 In relation to global geopolitics, certain Commonwealth countries play a significant role, but generally those countries do not look to the Commonwealth as the best realm to achieve their goals. The UK is the only Commonwealth country with permanent membership of the United Nations Security Council (UNSC). India has moved to the status of a major power, not just in Asia but globally. Nigeria and South Africa are arguably the most important African countries. The Commonwealth context might sometimes assist these countries in advancing their positions but more often it is a relatively minor dimension. However, the Commonwealth connection can on occasions facilitate entrée that is helpful for dealing with issues that might arise for some Commonwealth members. For example, Australia found the relationship with the UK helpful in dealing with the East Timor crisis in 1999, particularly in the context of the UNSC. 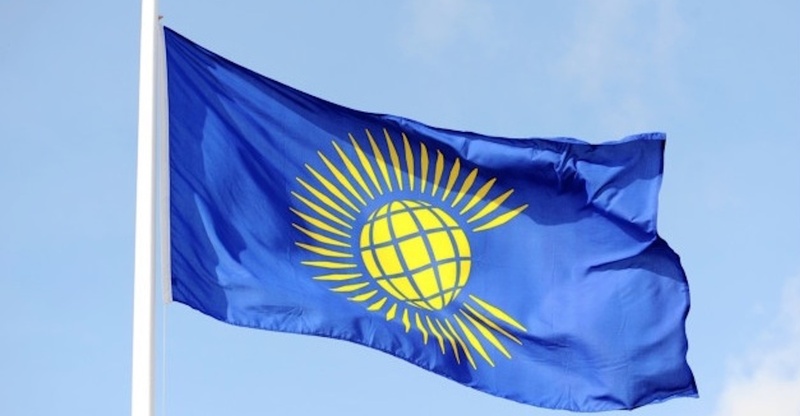 The Commonwealth can function as a mini form of global multilateralism in canvassing proposals relating to issues of global trade, finance and development. This can give some sense of the extent to which North-South consensus is possible on key issues. Given the bias towards developing countries in the Commonwealth, a particular focus has been on advancing sustainable development. Support from the Commonwealth helped build the political momentum for the adoption of the Sustainable Development Goals by the UN General Assembly in September 2015. Similarly, in relation to climate change the Commonwealth played a useful role in the multilateral diplomacy that resulted in the 2015 Paris Agreement. Ahead of the Paris meeting, the Malta CHOGM agreed to a Commonwealth Leaders Statement on Climate Action in support of a substantive result in Paris. In this regarid, it is worth noting the role of the small island states in the Commonwealth. Perhaps the most significant of the global issues to which the Commonwealth contributes is human rights. This point provided the one explicit reference to the Commonwealth in the Australian Foreign Policy White Paper of 2017: Australia supports “democratic principles, the rule of law, human rights and gender equality through the Commonwealth”. There has been a series of Commonwealth declarations and statements in this area, most recently with the Commonwealth Charter of 2013. Commonwealth members are committed to upholding the Universal Declaration of Human Rights, covering also “the inalienable right of individuals to participate in democratic processes”. Enforcement of the Commonwealth’s position has been through the Commonwealth Ministerial Action Group (CMAG). Nigeria, Pakistan and Fiji have all been suspended from the Commonwealth in the past. Zimbabwe withdrew after being suspended. The most recent withdrawals have been The Gambia (2013-18) and the Maldives (withdrew 2016). Given the number of small states in the Commonwealth, it is understandable that the Commonwealth runs special programs to assist the development needs of these states. More specifically, the Commonwealth has assisted small states to have diplomatic representation at the United Nations in New York and in the multilateral context in Geneva. Politically, the number of small states in the Commonwealth means that small state concerns receive more attention than in most other multilateral settings. Relatively speaking, small state membership is greater in the Commonwealth than in the United Nations. Apart from the various global dimensions relating to the Commonwealth, the organisation can also play a role in some regional situations. This is particularly the case if there is a concentration of Commonwealth members in the region in question. The most significant regions in this respect are southern Africa, South Asia, the anglophone Caribbean, and the Pacific island countries. East Africa, West Africa and Southeast Asia (Malaysia-Singapore-Brunei) also have a strong Commonwealth dimension. In some of these situations the Commonwealth has played some role in upholding—or attempting to uphold—democratic norms (Zimbabwe in Southern Africa; Pakistan, the Maldives and Sri Lanka in South Asia; Fiji in the Pacific islands; Nigeria in West Africa). The Commonwealth can also play a role in fostering cross-regional relationships. What role would Australia have in the Caribbean without the Commonwealth link? Cricket? Australia would have various reasons for being involved in Africa without the Commonwealth connection, but that connection has fostered a higher level of engagement than would otherwise be the case. A recent useful example from the Australian perspective was the support from African countries (extending beyond Commonwealth members) in the successful campaign for membership of the UNSC, 2013-14. In addition to intergovernmental relations one should also consider the role of the Commonwealth as a framework for fostering civil society interaction. 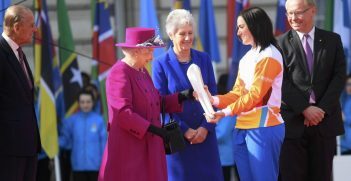 The Commonwealth Games Federation is the obvious current example, but there are many others such as the Association of Commonwealth Universities and the Commonwealth Business Council. Insofar as there is a strong civil society focused on the Commonwealth, this will in turn foster political support for intergovernmental Commonwealth relations. This appears to be most clearly the case with the United Kingdom, where many of these organisations have their headquarters. While there are many ways in which the Commonwealth plays a role in contemporary international relations, one should not expect a strengthening of the organisation in the context of Brexit. Britain’s Commonwealth trade will not make up for the loss of trade with the European Union. Loss of influence in Europe because of Brexit might well diminish Britain’s political relationship with many Commonwealth members which might have seen advantages for themselves in a strong British voice within the European Union. Important as history is, the Commonwealth should be viewed as part of contemporary international relations rather than in the context of imperial nostalgia. Derek McDougall is a professorial fellow in the School of Social and Political Sciences at the University of Melbourne.